The supporters of the Obama administration have a clear vision of the nation’s energy future. It involves windmills and solar arrays – but not coal. They don’t like carbon. The administration takes no responsibility for whether the resulting power supply will be adequate, reliable or affordable. Accordingly, it has tasked the U.S. Environmental Protection Agency to kill the coal industry and coal-burning utilities as rapidly as possible through regulation. Coal industry woes: companies blame a number of factors, many market driven, plus the regs. Pols & operatives emphasize EPA. The industry has been noting quietly for several years the power of market. I remember coal mine closed two years ago … After some prodding, company admitted it had too much coal on hand & bad market. Didn’t stop politicians from blaming in toto the EPA. Industry executives, state agency flacks and newspaper staffers who throw out straw-men arguments about eliminating all coal production immediately aren’t doing West Virginians any favor. They simply don’t know what they’re talking about at best — or, at worst, they are deliberately misleading people. The latest projections for the future of coal in this country don’t suggest the industry is going to die, no matter what EPA does about mountaintop removal, mercury emissions or global warming. They do show major declines over the next quarter century in Appalachia, especially in Central Appalachia, which includes the Southern West Virginia coalfields where most mountaintop removal takes place. I’ve yet to hear a single major political figure in West Virginia address this in an honest way, and suggest that something needs to be done to prepare for it. I can’t figure out which these guys want to talk about less — the coal production trends or the WVU studies that link living near mountaintop removal to increased risks of cancer and birth defects. Ironically, the press reports about the new AEP chief’s speech were bracketed on both sides by media accounts of far more troubling signs of our future: A few days before Nick Akins visited Charleston, both Alpha Natural Resources and Patriot Coal announced mine closures and layoffs. Just after his appearance, rival utility FirstEnergy revealed it was closing three of its most ancient, least efficient and most polluting plants in West Virginia. Gov. Earl Ray Tomblin’s response? Bash EPA. Same goes for Sens. Jay Rockefeller and Joe Manchin and Rep. David McKinley. The Parkersburg paper quoted all of them in a story, but couldn’t be bothered to mention any potential public health benefits that would come from eliminating the air pollution from these plants. And none of the political leaders seemed to know that, as we reported in the Gazette, FirstEnergy still has a significant generation presence in West Virginia — including three large plants where it spent billions to install scrubbers, in projects that improved air pollution and efficiency, while also providing thousands of construction jobs. Just as the late Sen. Robert C. Byrd warned us it would, change is coming to West Virginia’s coal industry. Interestingly, as we noted in our story about the FirstEnergy plant closures, the West Virginia Sierra Club had tried to get a discussion going in the Preston County area about the future of the Albright Power Station. They wanted to talk about what would happen if (when?) the plant closed — where would people find jobs, how would local schools be funded, and aren’t there cleaner alternatives for energy production that might help rejuvenate such communities? Communities in West Virginia and across the nation face losses as the oldest coal-fired power plants near the ends of their useful lives. Families lose good livelihoods when plants are retired. The diversity and health of local economies are diminished. But in some communities, residents, supported by environmental groups, have worked with utilities to craft closure plans that take local needs into account. Last year, for example, workers and local governments in Centralia, Wash., assisted by the Sierra Club, negotiated a 15-year plant closure plan with TransAlta. The plan sets aside $50 million for energy efficiency and clean energy projects — initiatives that will keep electricity bills down and offset the jobs impact of the closure. A similar settlement agreement on behalf of residents of Gulf states was announced later in the year. 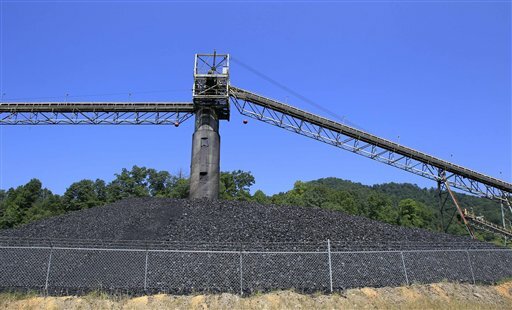 Audubon and the Sierra Club agreed to stop fighting AEP’s new coal-fired plant in Arkansas. To offset the new plant’s emissions, the utility will retire its old Welsh 2 coal-fired unit in northeast Texas by 2016 and will provide 400 megawatts of clean generating capacity for the region and $10 million for energy efficiency and land conservation. We think something like that has to happen in a lot of areas. We see a continued decision to reduce use of coal-fired electricity as the health impacts become more obvious. It’s important to being the path toward transition so we don’t end up with more communities where a company just announces they are closing a plant. What if all of the energy that goes into distributing “urgent” social media messages and waging call-in campaigns about one mountain (no matter how historic) were instead funneled into working on what the Sierra Club is trying to do in Preston County? Maybe even half of that energy? More importantly, why did it take the Sierra Club to put together a meeting like the one in Albright? Why aren’t Gov. Tomblin and our congressional delegation doing it? Plus, the coal industry has a net negative impact on the West Virginia state budget. They don’t want to. It’s as simple as that, as simple as Bartleby the Scrivener’s repeated “I prefer not to” answer in the story of the same name. The difference lies in the fact that Bartleby’s answer affected only himself. Our political leadership’s answer affects not only we, the living, but our as-yet-ungotten progeny, as well. While one cannot cite a negative, Sen. Rockefeller’s apparent refusal thusfar to bring the growing body of scientific studies before the Commerce, Science and Transportation Committee of the Senate of the United States of America ( http://commerce.senate.gov/public/index.cfm?p=Majority ) speaks to the inferior position ordinary West Virginians occupy relative to the coal industry. 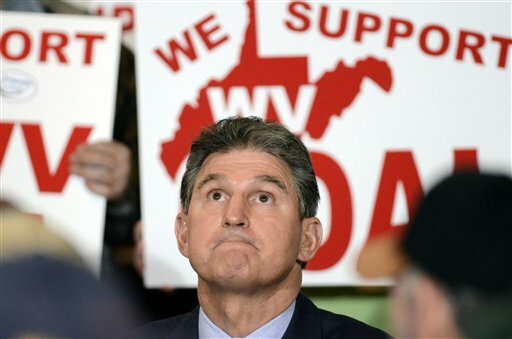 Senator Joe Manchin occupies a seat on the Senate Energy and Natural Resources Committee ( http://www.manchin.senate.gov/public/index.cfm/committee-and-subcommittee-assignments ). Might that be a good place to initiate a dialogue about what happens to WV when the coal is gone? Can Senator Manchin even dare envision that day? You have, Ken. Many of us have, and not from some doom-and-gloom perspective, but specifically to ward off such a scenario. Rep. Shelley Moore Capito sits on the House Transportation and Infrastructure Committee ( http://capito.house.gov/index.cfm?sectionid=9&sectiontree=2,9 ). When what you call the “coming coalfield crisis” stops coming and starts arriving, Ken (if it hasn’t, as you note, started so doing already) wouldn’t it be good to have some plans in place, to have had some hearings in the T&I Committee, perhaps called by Rep. Capito? Rep. David McKinley, albeit still a fairly untenured freshman, does sit on the Energy and Commerce Committee in the House ( http://energycommerce.house.gov/subcomms/subcommittees.shtml ). Hearings about central Appalachia’s (and especially WV’s future) would seem relevant in any of these places. The fact that such hearings are NOT being called speaks perhaps more loudly than any press release about “reigning in the EPA” or any of the numerous similar statements that have been recently made. For the sake of fairness, I have not include Rep. Rahall’s name on this list, not because he’s more willing to address the issue but because, as a member of the minority in the House, he has no ability to get such a hearing, even if he wanted one. Congratulations or at least simple gratitude are in order for the Sierra Club in making these sorts of outreach efforts. Sadly, the willing partner they badly need, namely WV’s elected representatives, is not likely to show up any time in the near future. Excellently written article. I wish everyone in West Virginia would read it.